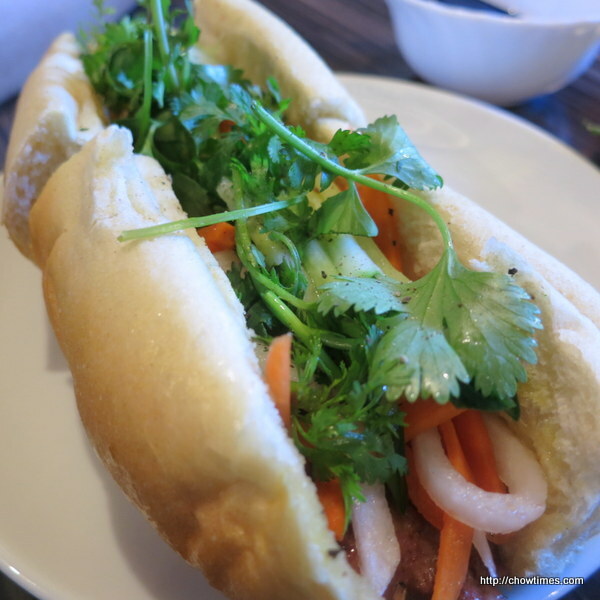 It’s been a while since we visited West Lake Vietnamese Kitchen on No. 3 Road. 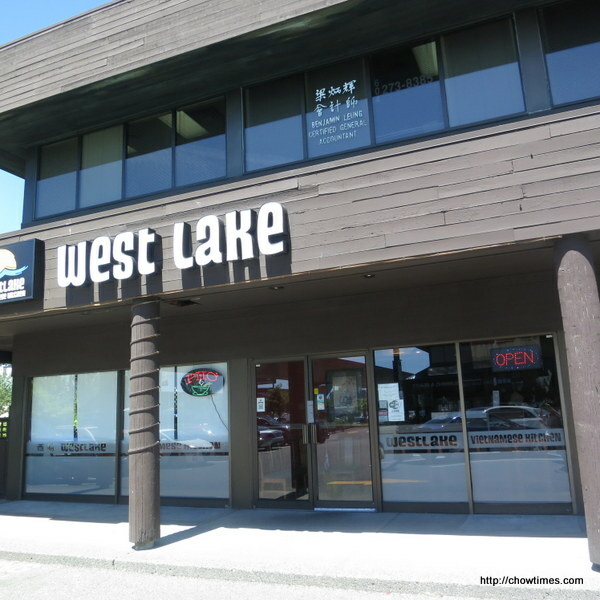 Ben and I stopped here for a quick lunch before his business trip. 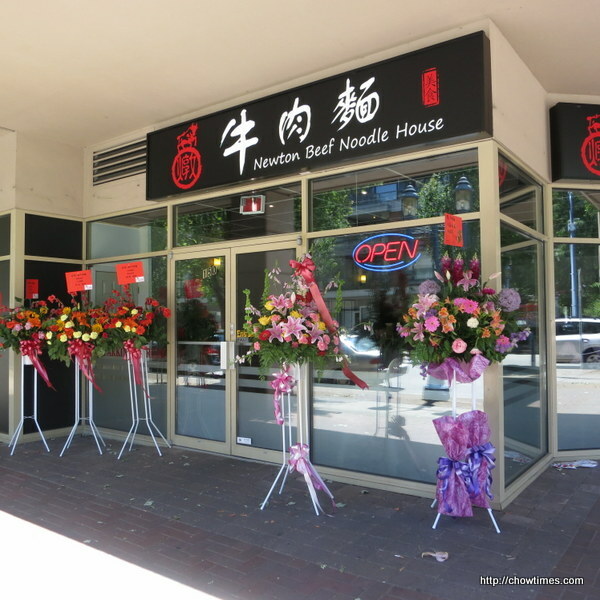 It was not busy when we visited it on a week day lunch. 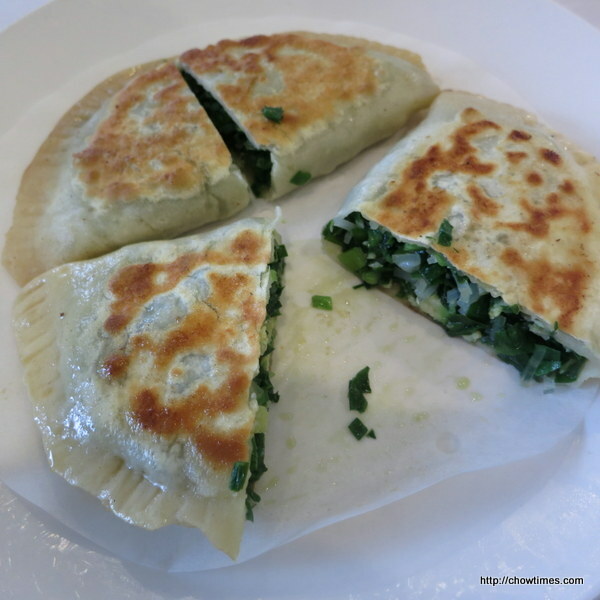 We ordered from the lunch combo which includes an appy, main dish and a drink. 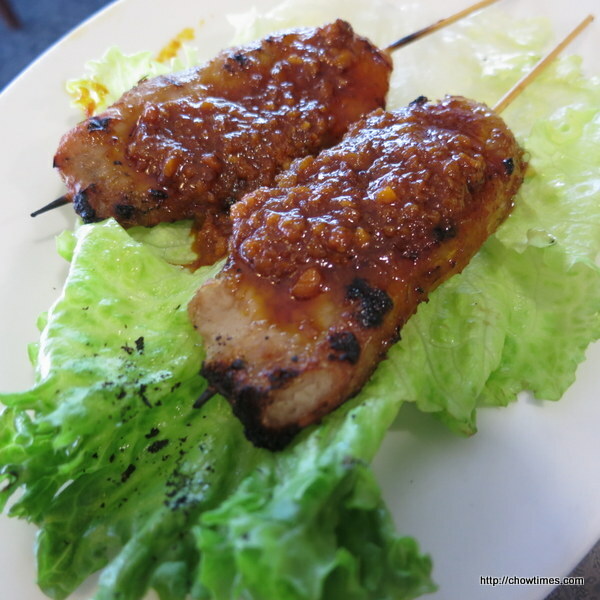 Ben’s appy was Pork Satay Skewers. 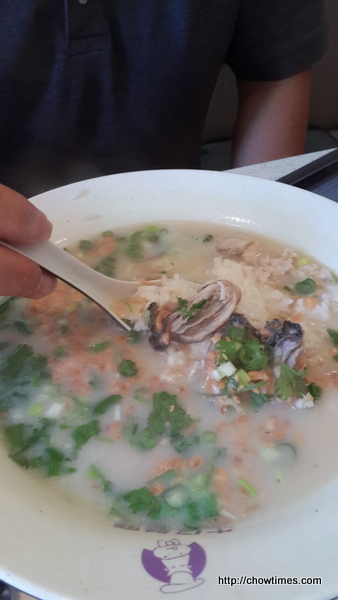 It was served with some kind of chili sauce but not very spicy. 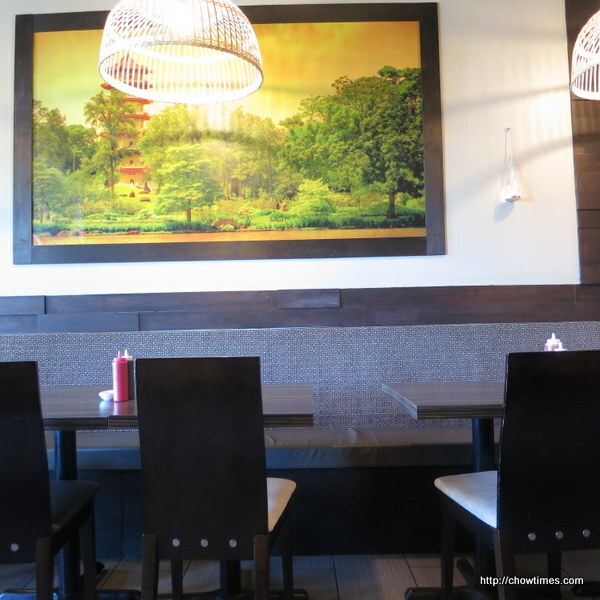 A new Taiwanese restaurant took over the Pho 1001 Nights location on Saba Road. 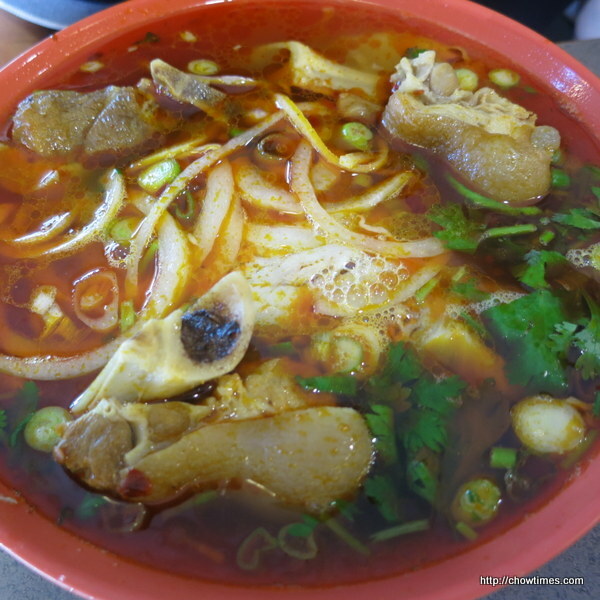 We quite like the Bun Bo Hue in Pho 1001 Nights but it’s gone now. 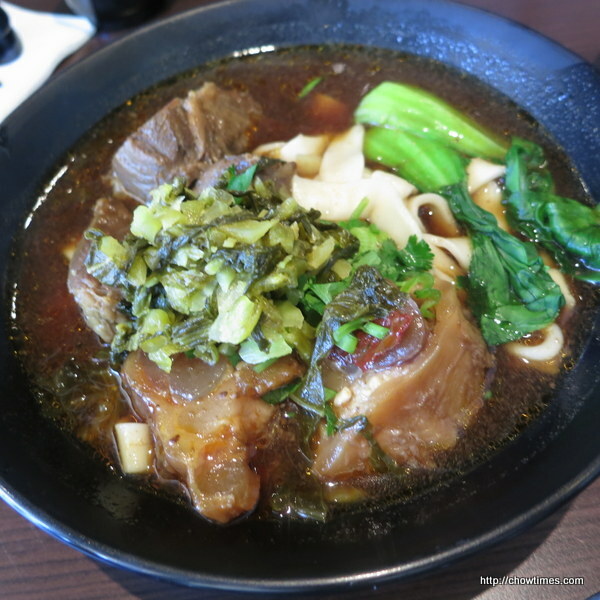 Ben and I went to this new Taiwanese restaurant on a weekend lunch. 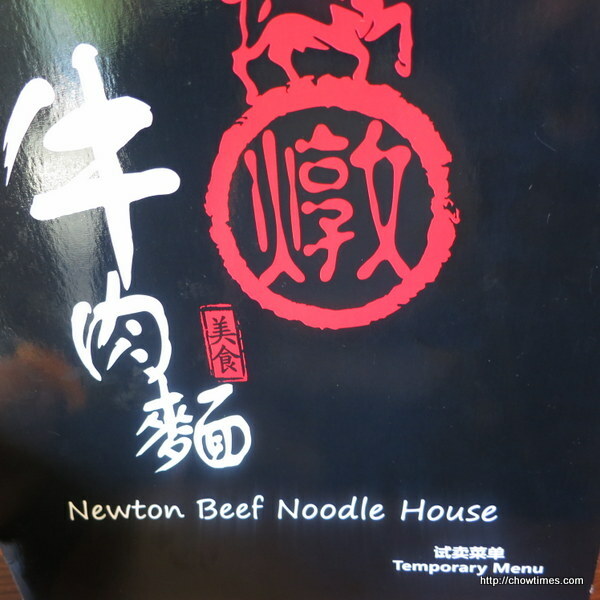 The menu stated that it’s a temporary menu. 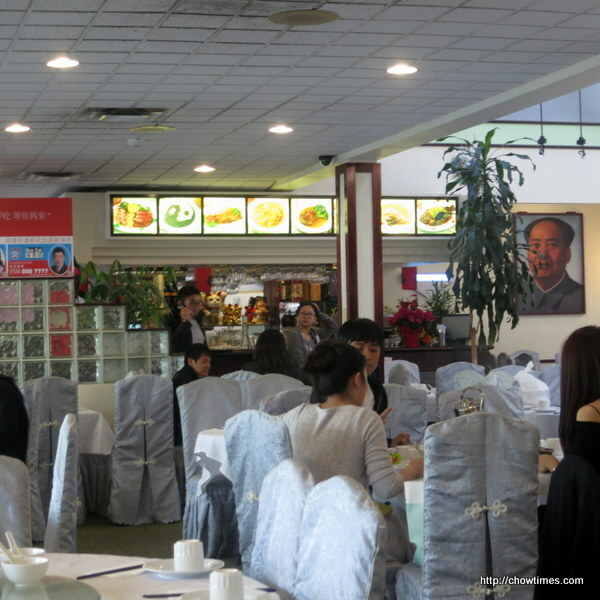 I guess they will make changes to the menu in the future depending how business goes. 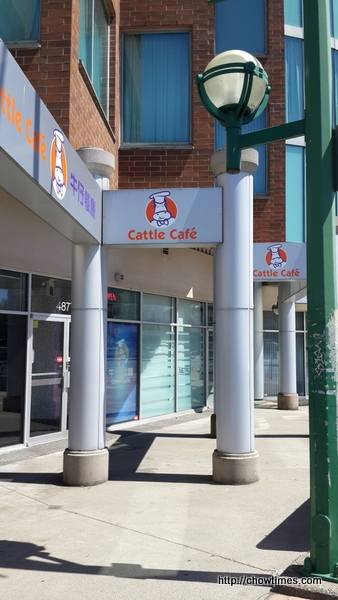 The Cattle Cafe on Kingsway is one of Ben’s lunch place to go as he works nearby. We went there on a Sunday afternoon and there is just a few minutes of wait for a table. Ben ordered from the lunch special with comes with a drink. Cold drink is charged $1 extra. 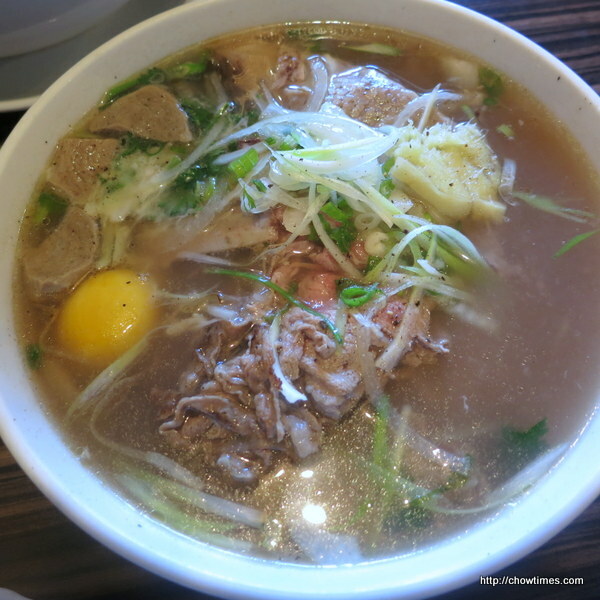 I noticed that there is a new Vietnamese restaurant in Ironwood Plaza while I drove by after having lunch in Pho Ten with Nanzaro. 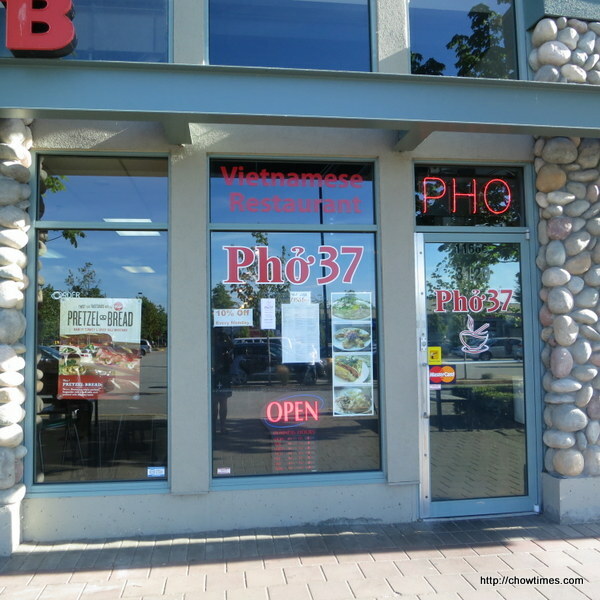 This new Pho 37 has taken over the location of Red Pagoda which was also a Vietnamese Restaurant. 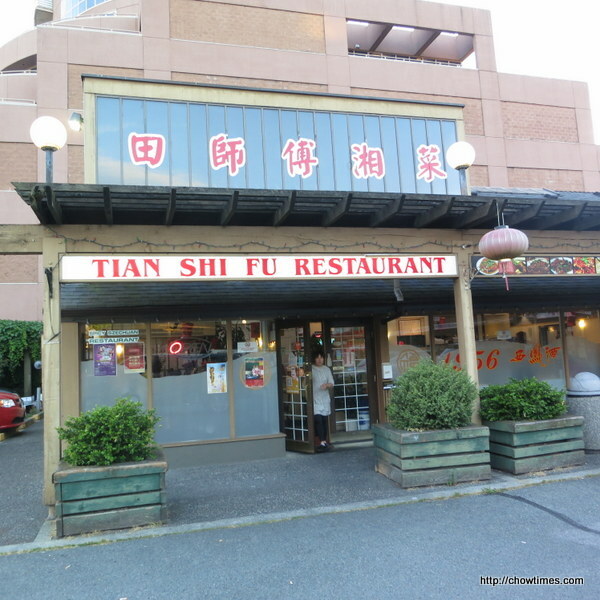 When we asked the server about the name of the restaurant, we were told that 37 is a lucky number for the owner according to a fortune teller. 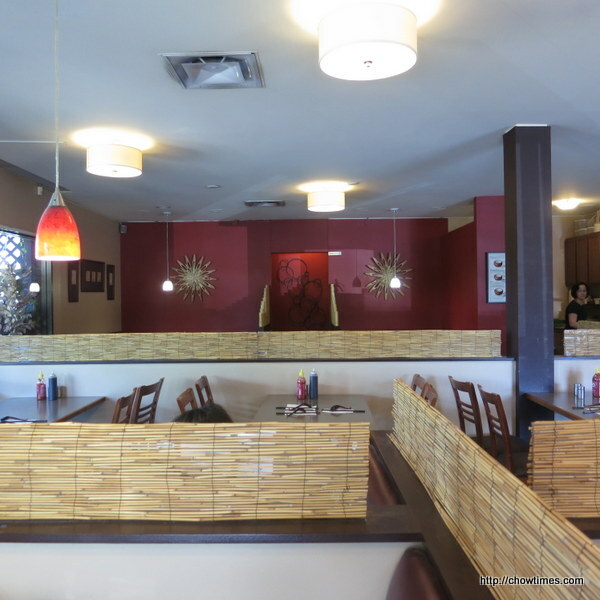 There is minimal changes to the restaurant from Red Pagoda, the previous tenant. 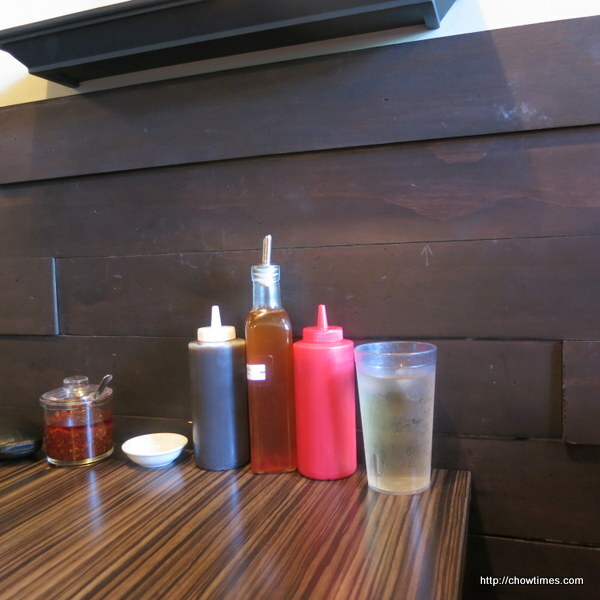 Even the condiments look the same as the previous tenant. I guess the new owner just took over everything from the previous owner. 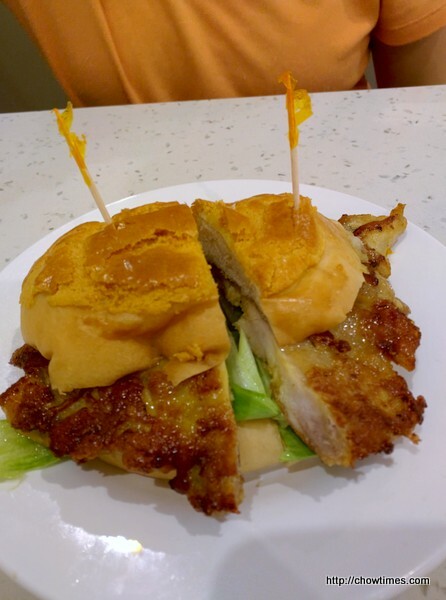 I ordered a Chicken Banh Mi. There were plenty of pickled daikon and carrot but not so much of the grilled chicken. The baguette was not as crispy as we would love it to be. Michelle intended to make rhubarb syrup but she was unable to find rhubarb during her groceries shopping for the kitchen. So, she substituted rhubarb with strawberries. 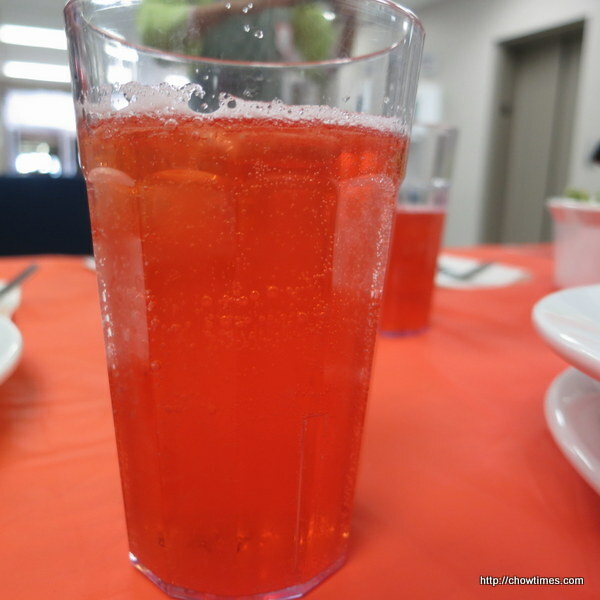 You can find the rhubarb soda recipe here. We used only half of the sugar from the recipe as local strawberries are so sweet. 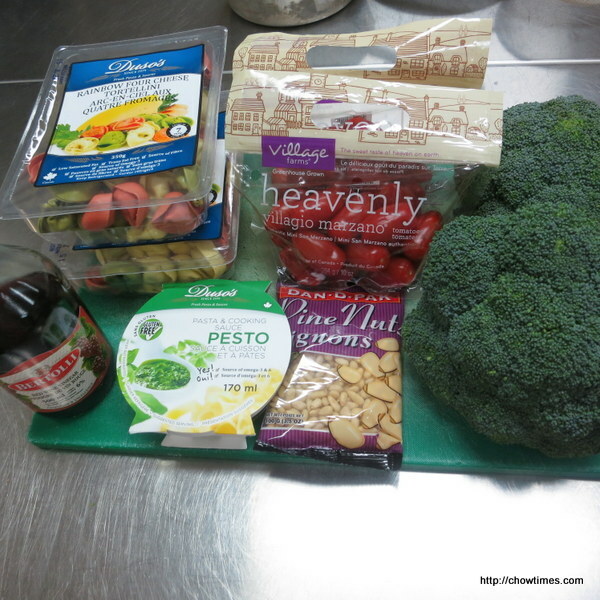 One of the participant anticipated that Michelle will use strawberries in this kitchen as they are in season. 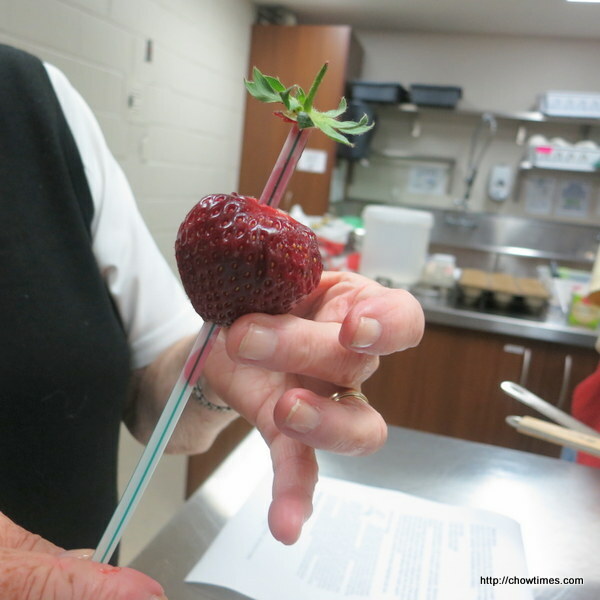 She shared an interesting way of removing the stem and top leaves from the strawberries by using a straw. She just insert the straw from the center bottom of the strawberries and pushes the straw upwards towards the stem. We were all in aw watching her doing this kitchen trick. 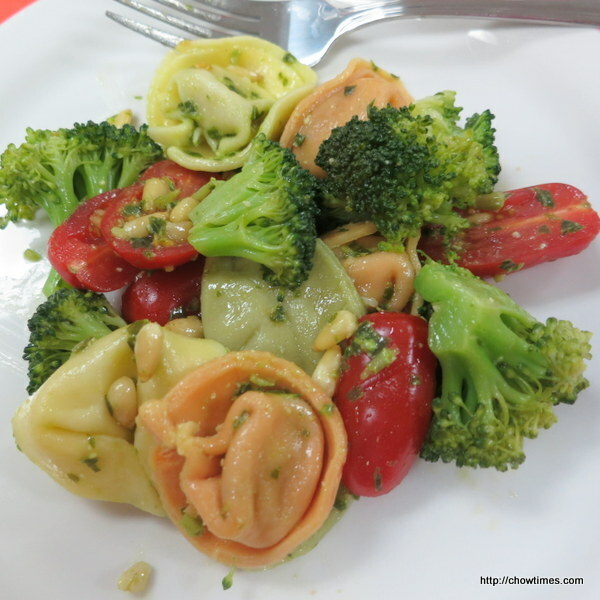 It’s definitely worth sharing with chowtimes readers. 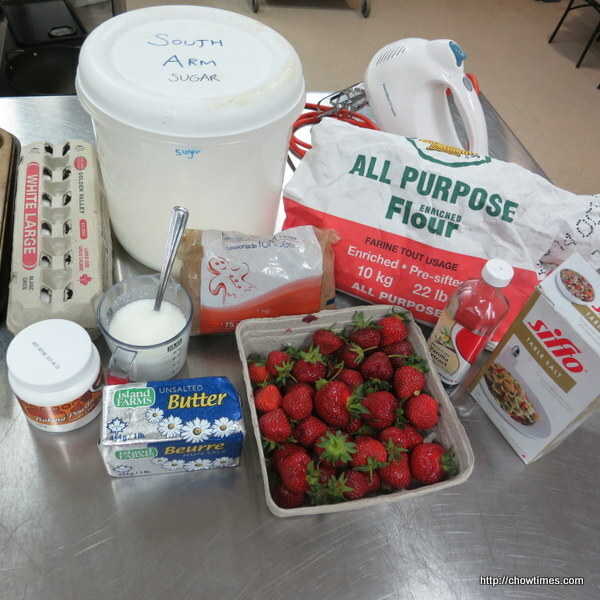 With the local strawberries in season, Michelle shared a Strawberry Coffee Cake Muffins recipe in the South Arm Community Center’s Older Adults Community Kitchen. 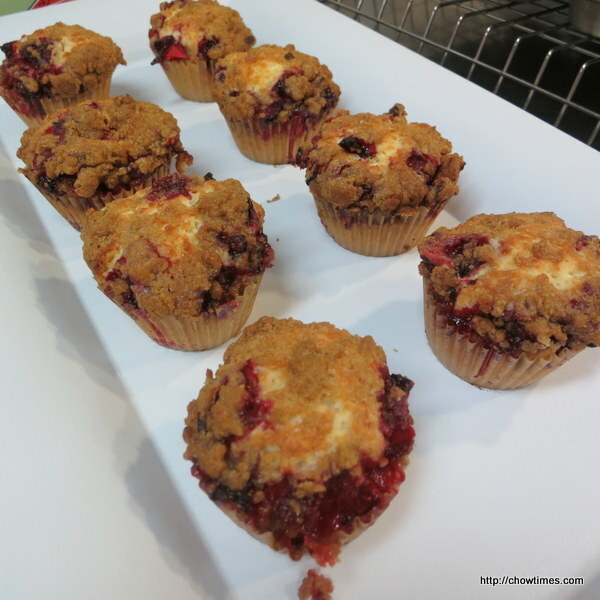 These lightly sweet muffins with fresh strawberries and a delicious coffee cake crumble can be frozen for enjoyment later. 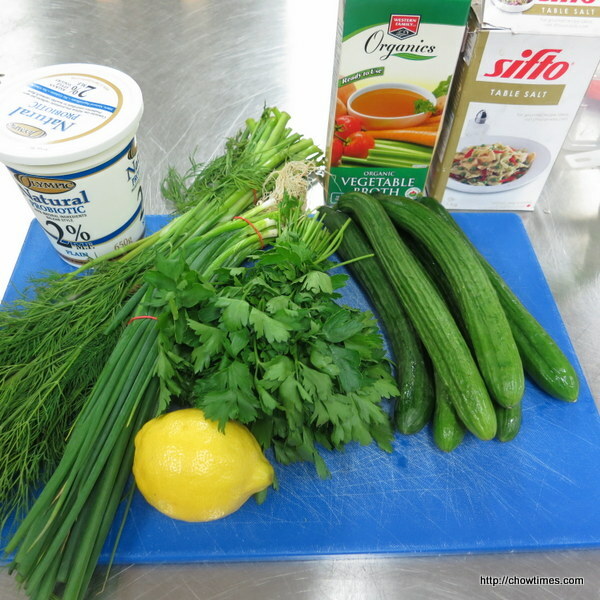 It’s summer; Michelle shared some recipes which are great for the summer heat in the South Arm Community Center’s Older Adults Community Kitchen. 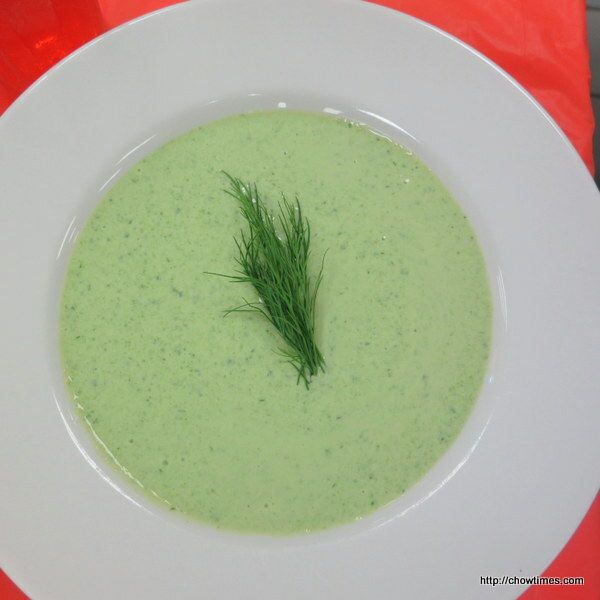 This Chilled Cucumber Soup is very refreshing and filing too due to the Greek yogurt component. 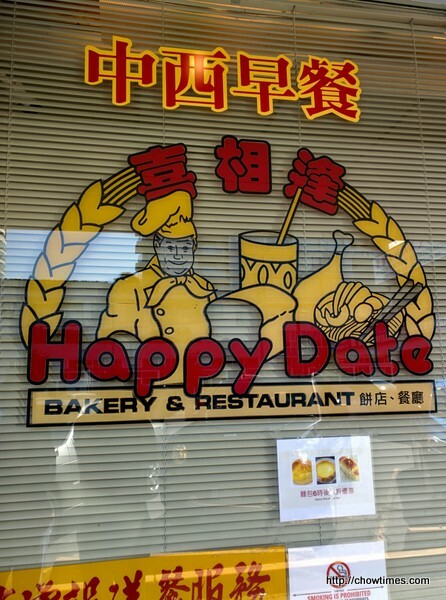 On one of my groceries shopping trip to Great One Supermarket, Ben noticed some new product posters on Happy Date Bakery & Restaurant. 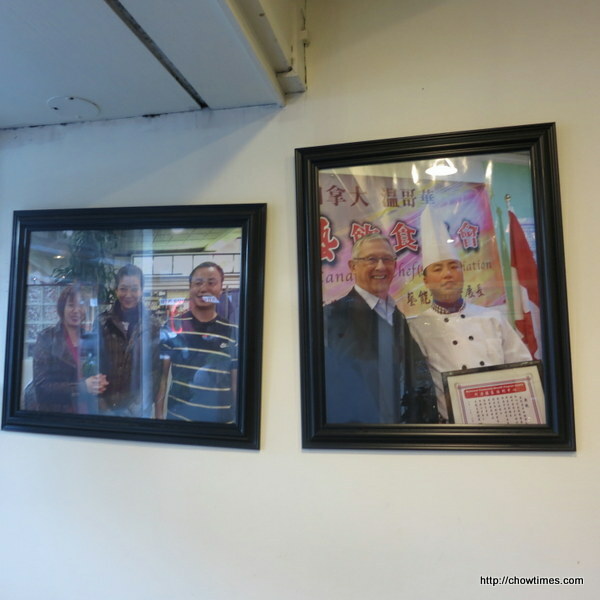 We went there for breakfast to check out the following. 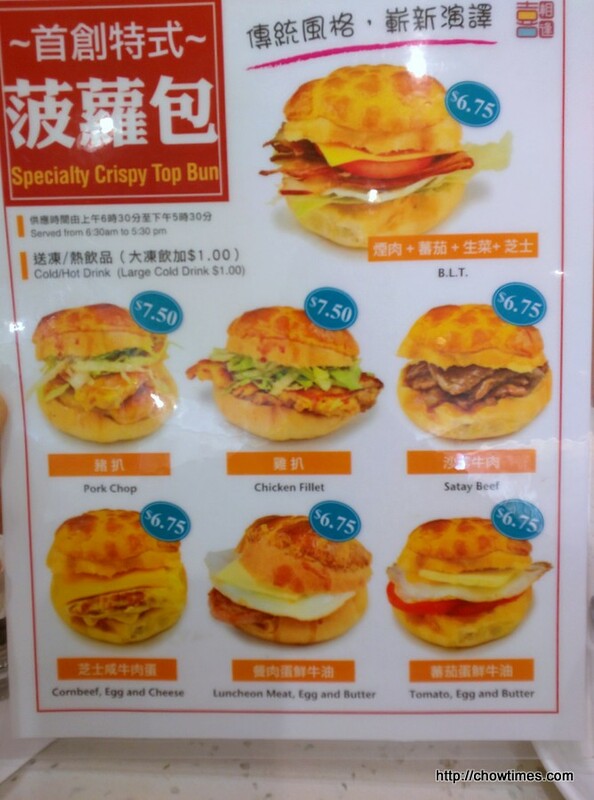 They have Pineapple Bun Burger now. 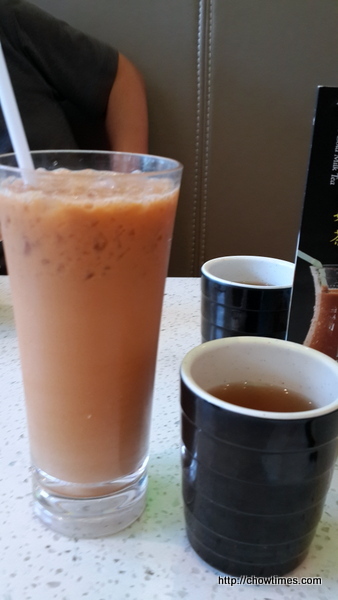 The price shown comes with a hot drink.